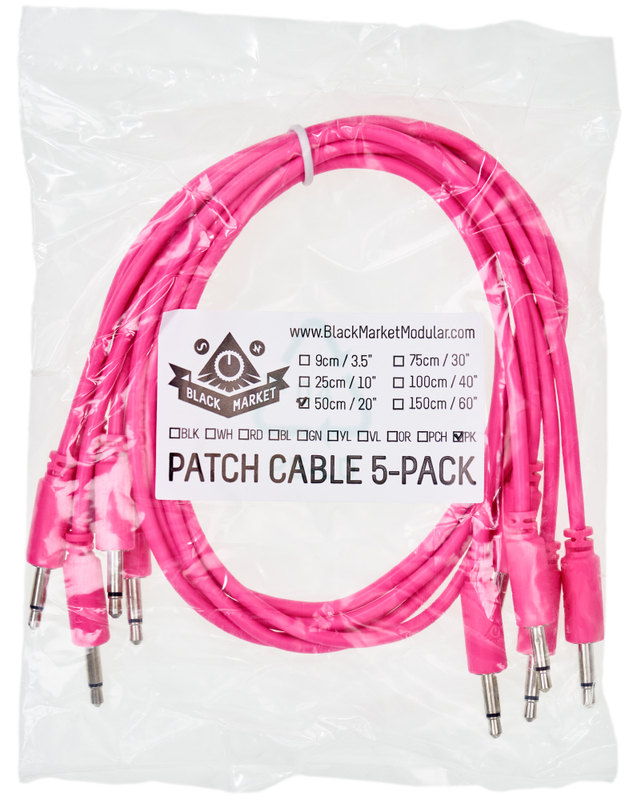 Black Market Modular's patch cords are characterized not only by beautiful colors but also their only 8mm wide and 25mm high plug. Thereby they are adequate for dense patches and they also fit really well into Stackcables. 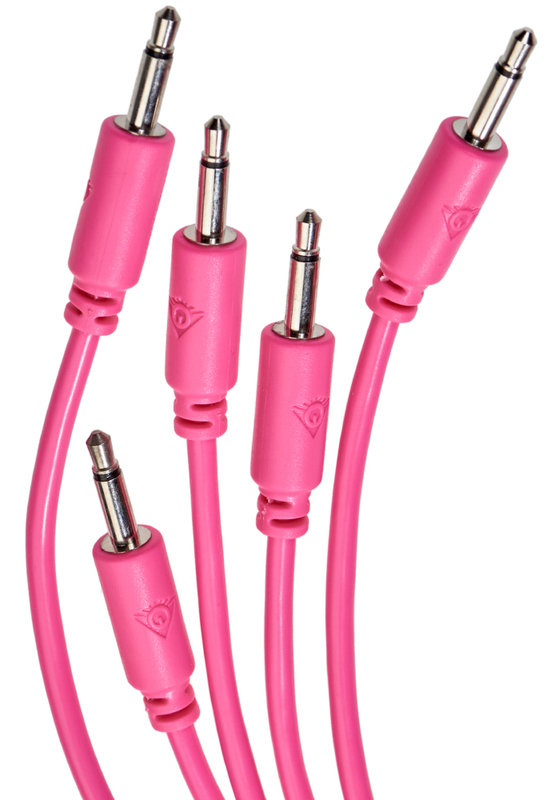 The cable is flexible yet not wishy-washy but also not too stiff - just perfect! 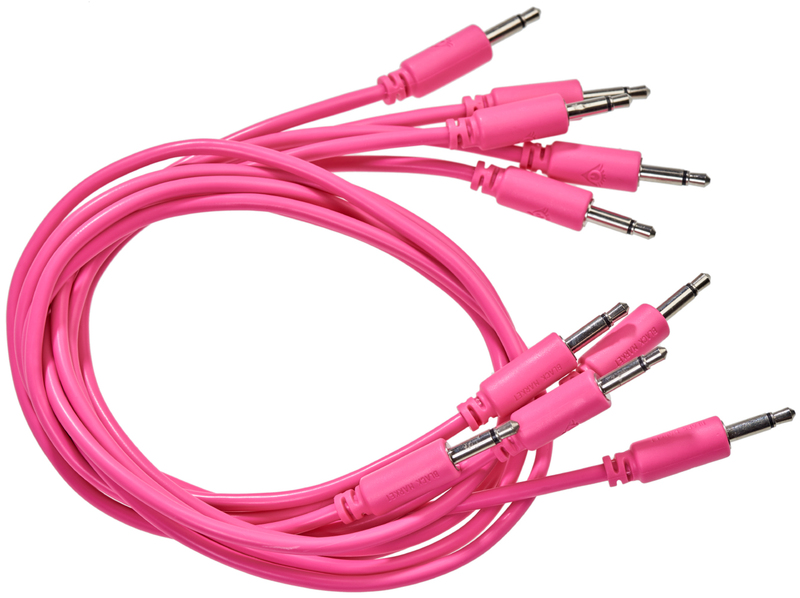 They ship coiled and not twisted so you don't get that permanent kink.